Yes, it's a questionable port. But for those who may be interested, I just thought you'd like to know. 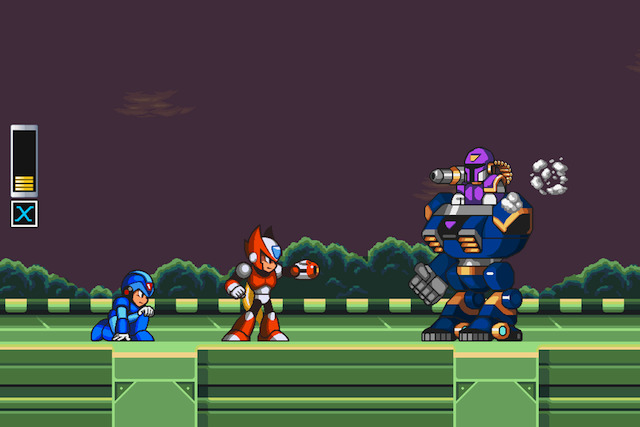 That's right; Mega Man X for iOS is 99 cents as part of Capcom's spring sale. It's normally $4.99, so if you were waiting for a cheaper price, there's no time like the present. The deal ends on April 1st. For the Street Fighter fans, SFIV Volt, SFII Collection and SF X Tekken are also 99 cents each. I swear everytime I see a picture of the X iOS port and Xover, they look worse graphically every time. Xover makes iOS Mega Man X look like a masterpiece by comparison. At least iOS X is essentially a port of a GOOD game. Just watched this "HD" gameplay video again. But as I stated earlier I don't really know which albums need them but I run across often an album missing artwork here and a song missing the artwork there.